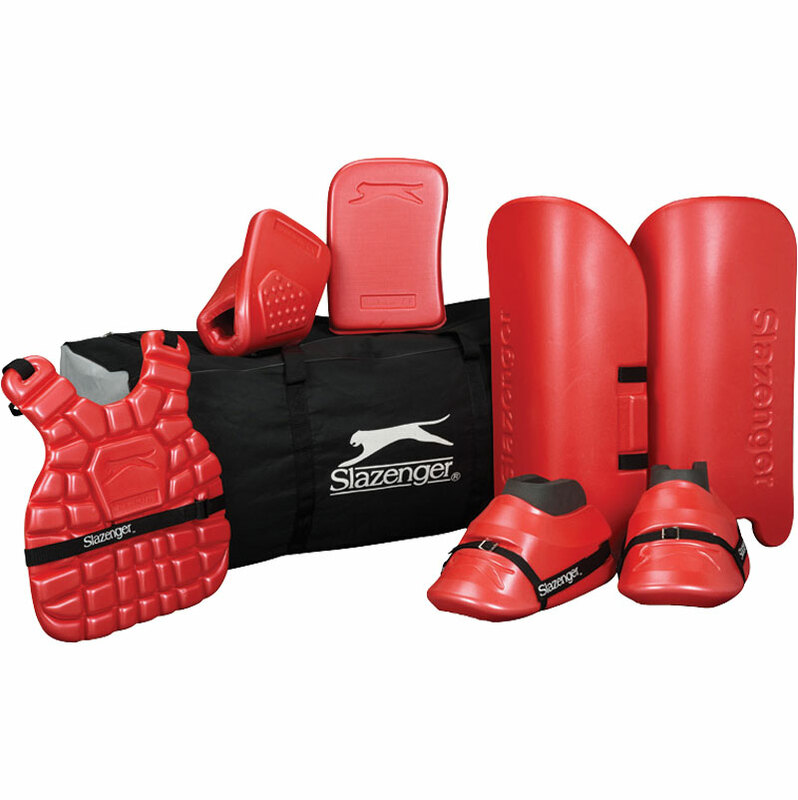 The Slazenger Education Academy Hockey Goalkeeping Kit is made using a high density foam giving the ultimate protection and at the same time is light and easy to play in. Pull on the kit and attach simply using the hook and loop fasteners and straps. A must for all schools for safe and enjoyable hockey matches or training sessions. Please note - Hockey Helmet not included in the kit. Easy fastening hook and loop straps. Junior = ages 8 - 14 years, shoe size 3 - 6, legguard size 52 x 22cm, kicker length 22cm. Height: Up to 5ft. Senior = ages 14+ years, shoe size 7 - 9, legguard size 58 x 22cm, kicker length 30cm. Height: 5ft and over.